Maybe I’ve been living under a vegan rock, but until recently – when Amy’s Kitchen sent me a box of soup and chilis and a few coupons – I didn’t even realize Amy’s made canned goods! (With BPA-free liners, yet!) I must admit Amy’s canned soups and chilis have become big favorites of mine during Charlotte, NC’s unseasonably cold weather. It’s been a “chili” Southern spring in more ways than one! The most important thing to know about Amy’s chilis is that they all have similar sauces. Most chilis have chunky, slightly acidic tomato sauces. Amy’s uses a smooth, slightly sweet and smokey enchilada-like sauce instead. Of course there are variations between each of the chilis – some are milder, some are hotter; there’s regular sodium and light in sodium versions; red beans or black beans; with soy or without soy. But I think it’s safe to say that, because of the similar sauce, if you like one of their chilis, you’ll like them all. On the other hand, if you try one variation of Amy’s chili and don’t like it, you probably won’t like the others, either. Note: All of Amy’s Chilis are gluten free and 97% – 99% organic. They also tend to be surprisingly high in protein, iron, Vitamin A, and Vitamin C.
Amy’s Organic Chili – Medium. 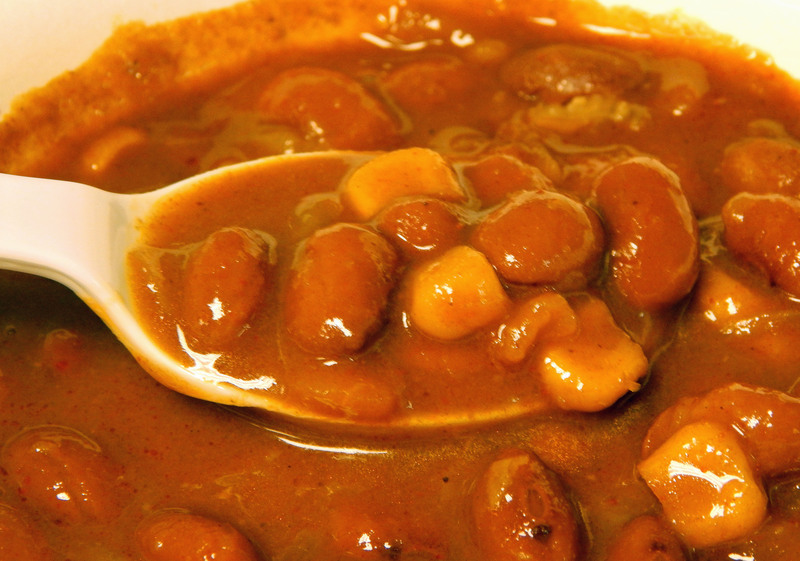 This is a nice classic chili with red beans and a mild (but not bland) sauce. Little chunks of textured tofu are a surprisingly realistic replacement for meat. Also comes in a light in sodium version. 280 Calories, 16 grams protein, 20% RDA Iron. 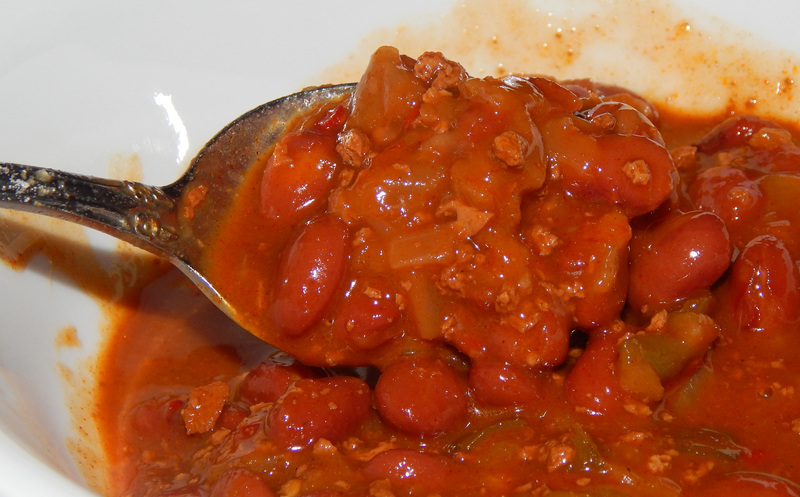 Amy’s Organic Chili – Spicy. Same chili as above, only slightly spicier. Also comes in a light in sodium version. This is my favorite of the chilis. 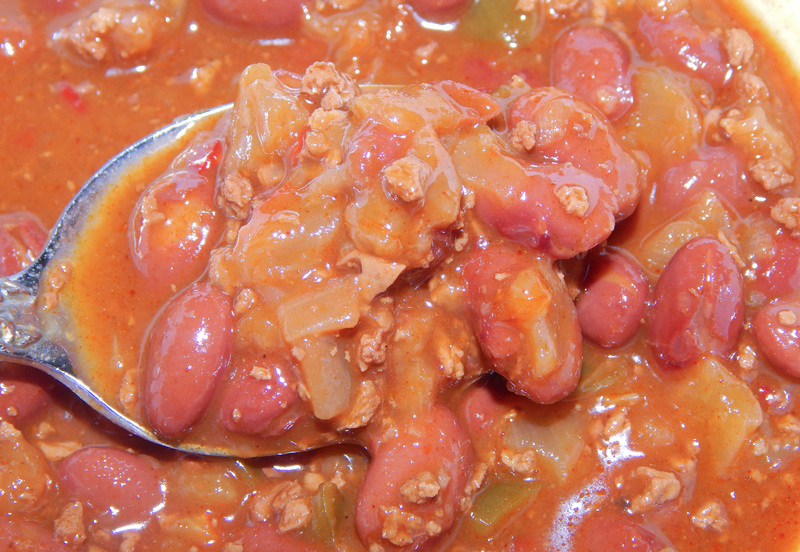 280 Calories, 15 grams protein, 20% Vitamin A, 20% Iron, 25% Vitamin C.
Amy’s Organic Medium Chili with Vegetables – Another red bean chili similar to the above two chilis, only minus the soy. Instead, it has bell peppers, carrots, potatoes, and corn. I didn’t really notice the bell peppers and carrots, but I did notice plenty of corn and small chunks of potatoes. I did think this one had a little more heat than the Amy’s Organic Chili – Medium. 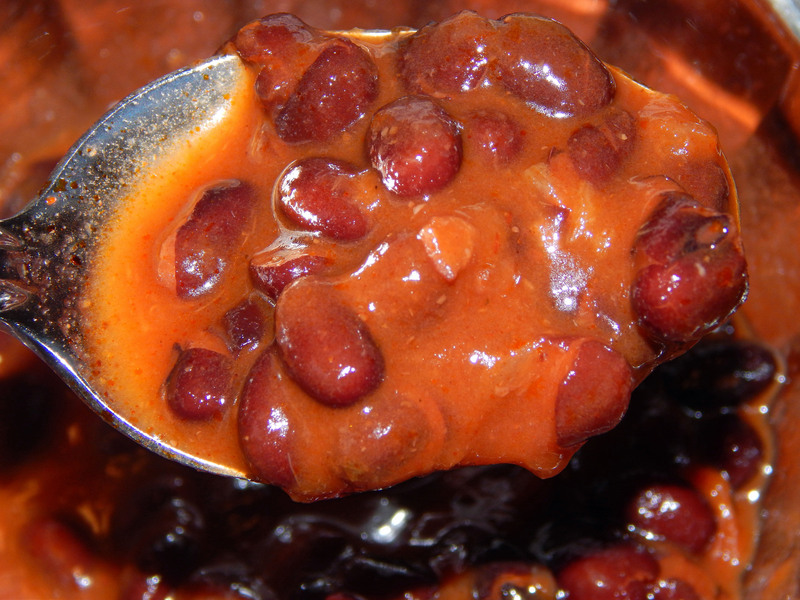 230 Calories, 10 grams protein, 10% Iron, 15% Vitamin C, 30% Vitamin A.
Amy’s Organic Southwestern Black Bean Chili – Medium – A similar sauce to the above chilis, only with black beans instead of red beans. I was impressed the black beans were actually cooked long enough to be soft (so many canned black beans are undercooked and hard!) No tofu or extra veggies. 240 Calories, 12 grams protein, 15% Vitamin C, 20% Vitamin C, 20% Iron. Amy’s Organic Black Bean Chili – This one actually had a slightly different sauce – a bit lighter tasting (perhaps because of the lime juice?) No tofu or extra veggies. If you’re a black bean lover, you’ll want to sample both of these black bean chilis to determine your favorite. 200 Calories, 13 grams protein, 10% Vitamin A, 15% Vitamin C, 30% Iron. You may have to search for these chilis in your local grocery store. 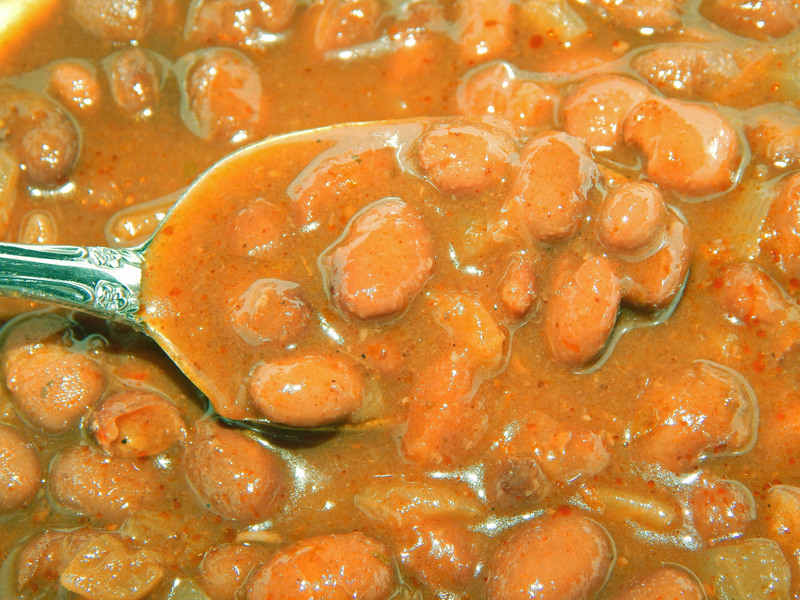 Sometimes, they are placed with the beans and other canned chilis; sometimes, they’re mixed in with the soups. The only downside to these chilis is that they are a little expensive. Expect to pay from $3-$4 for a can (at Harris Teeter, the standard price is $3.69). What can a frugal vegan do? Email Amy’s and ask for a coupon, and be sure to sign up for their newsletter and follow their Facebook page. Watch out for sales and stock up when they happen. Check out opportunities for case discounts, such as Whole Foods (which gives you 10% off on a case) or Amazon. And finally, these are hearty chilis that “stretch” very well. 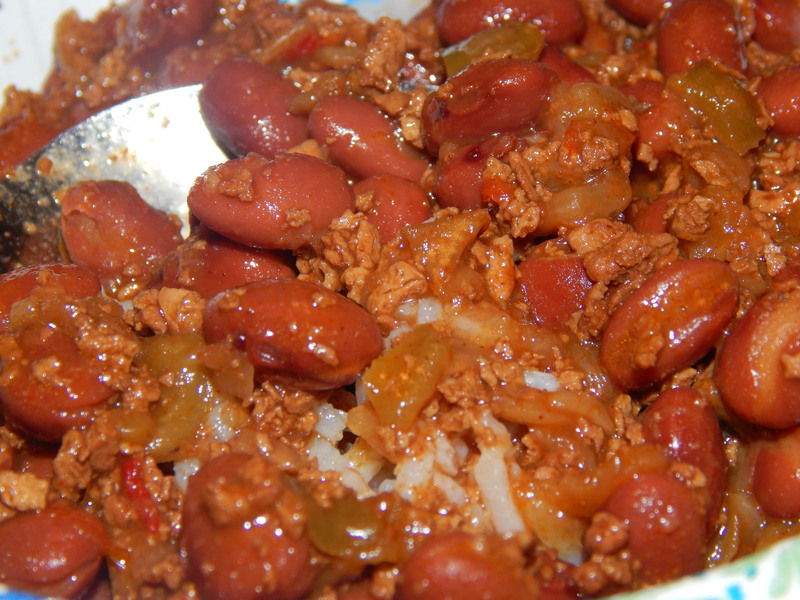 Try serving over rice (my favorite way to eat chili! ), a baked potato, or even pasta noodles for a filling meal. They’re super-handy to have in the pantry! Definitely my favorite brand for quick food! I’d love to try their chili! You should! I’m almost thinking I like their canned soups and chilis better than their frozen meals! I just ran across this brand and tried some tonight. I enjoyed it so much that I had to read about them online and came across this very nice website. I just made a diet switch to vegetarian and eventually want to go vegan, so as someone who lives in Charlotte, I am optimistic that this site will be very helpful and informative. Great review. Thank you. Ryan, Charlotte also has Bean Vegan. (I hear Asheville has a Bean Vegan as well, but probably not the store). I read about them online. It’s like a vegan mecca!